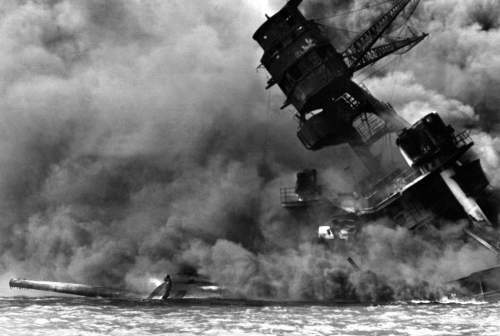 Today is the 72nd anniversary of the Japanese attack on Pearl Harbor and as we were then we are at war. Of course it is not the same kind of war and most Americans live in the illusion of peace which makes it even more important to remember that terribly day of infamy. 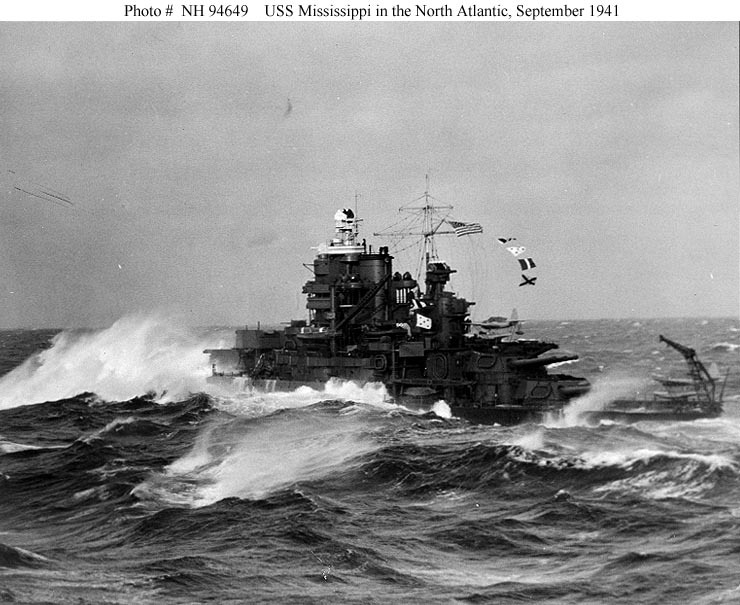 The ships comprised 4 of the 6 classes of battleships in the US inventory at the outbreak of hostilities. Each class was an improvement on the preceding class in speed, protection and firepower. The last class of ships, the Maryland class comprised of the Maryland, Colorado and West Virginia, was the pinnacle of US Battleship design until the North Carolina class was commissioned in 1941. Since the Washington Naval Treaty limited navies to specific tonnage limits as well as the displacement of new classes of ships the United States like Britain and Japan was limited to the ships in the current inventory at the time of the treaty’s ratification. 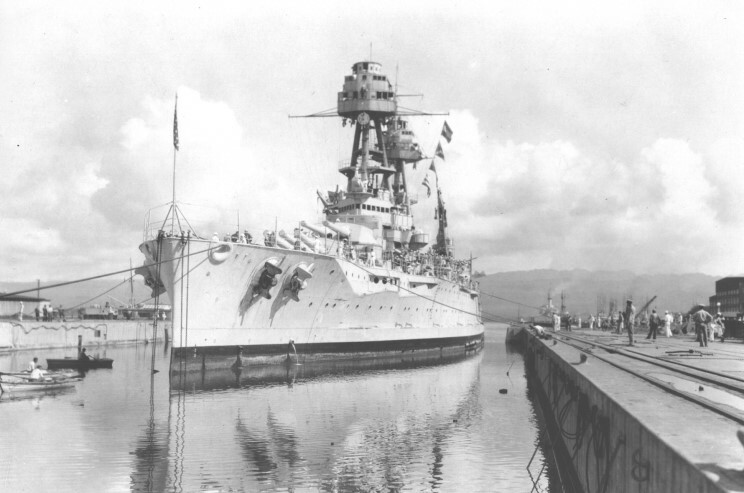 The ships at Pearl Harbor included the two ships of the Nevada class, the Nevada and Oklahoma they were the oldest battleships at Pearl Harbor and the first of what were referred to as the “standard design” battleships. 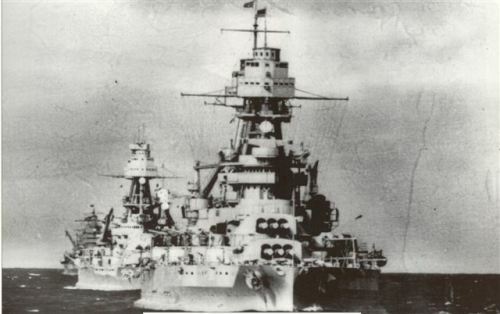 The two ships of the Pennsylvania class, the Pennsylvania and her sister the Arizona served as the flagships of the Pacific Fleet and First Battleship Division respectively and were improved Nevada’s. 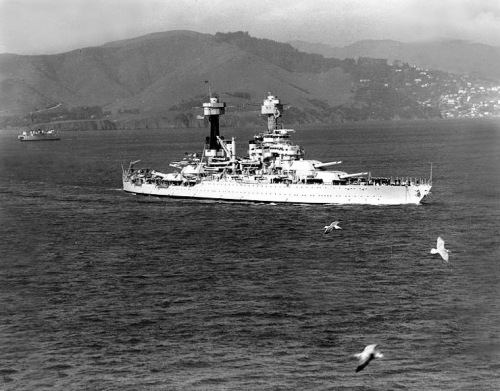 The California class ships, California and Tennessee and two of the three Maryland’s the Maryland and West Virginia made up the rest of the Battle Force. The Colorado was undergoing a yard period at Bremerton and the three ships of the New Mexico class, New Mexico, Mississippi and Idaho had been transferred to the Atlantic before Pearl Harbor due to the German threat. The three oldest battleships ships of the New York and Wyoming Classes, the New York, Arkansas and Texas also were in the Atlantic. 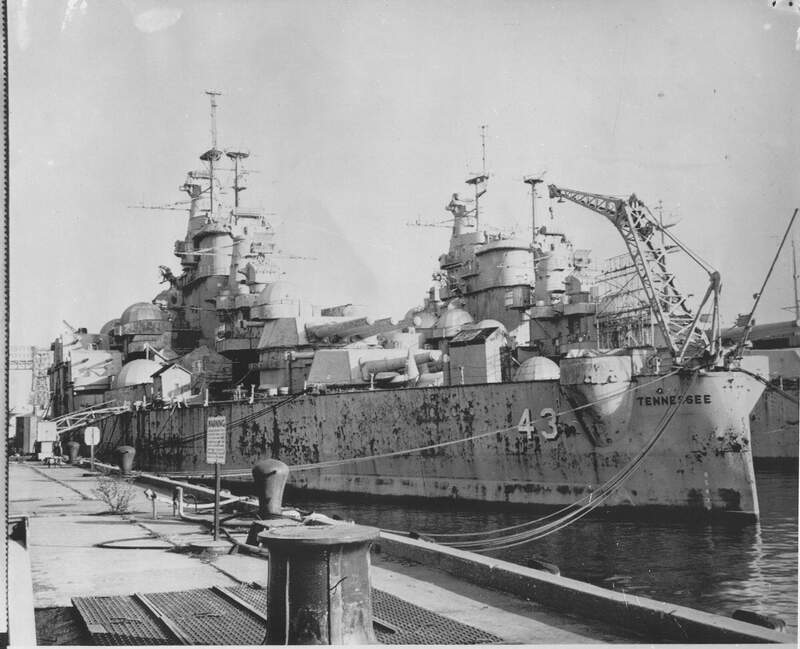 Two former battleships, the Utah and Wyoming had been stripped of their main armaments and armor belts and served as gunnery training ships for the fleet. 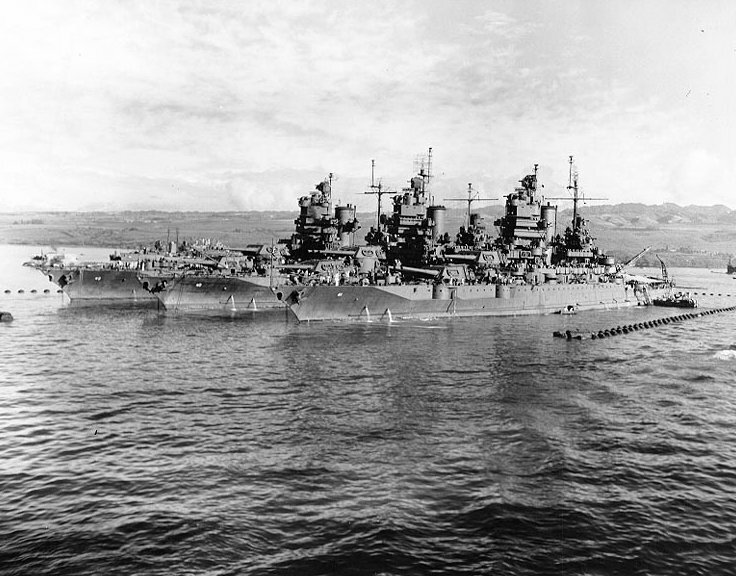 The Utah was at Pearl Harbor moored on the far side of Ford Island. The ships that lay at anchor at 0755 that peaceful Sunday morning on “Battleship Row” and in the dry dock represented the naval power of a bygone era, something that most did not realize until two hours later. 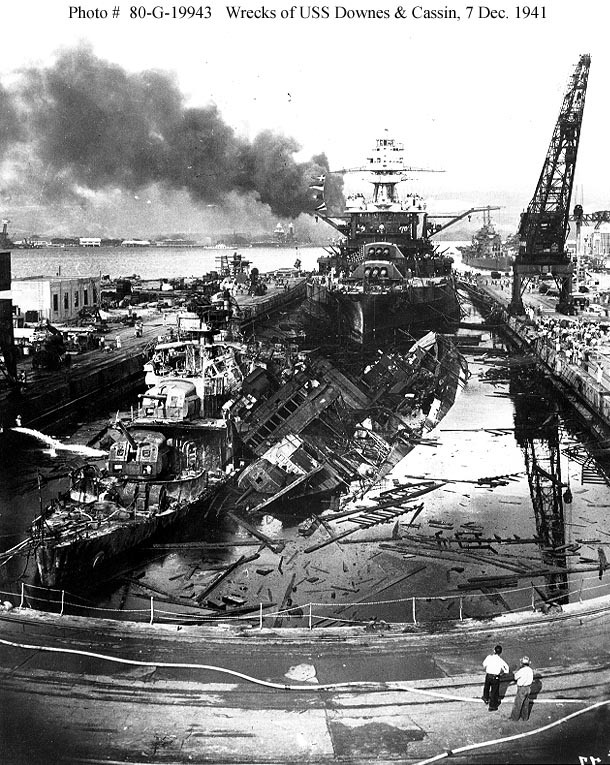 The age of the battleship was passing away, but even the Japanese did not realize that the era had passed building the massive super-battleships Yamato and Musashi mounting nine 18” guns and displacing 72,000 tons, near twice that of the largest battleships on Battleship Row. 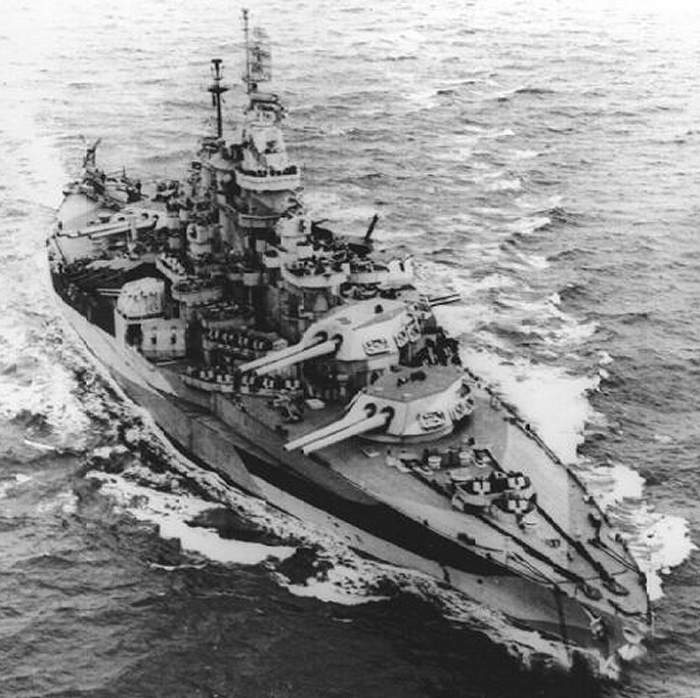 Nevada was raised and received a significant modernization before returning to service for the May 1943 assault on Attu. 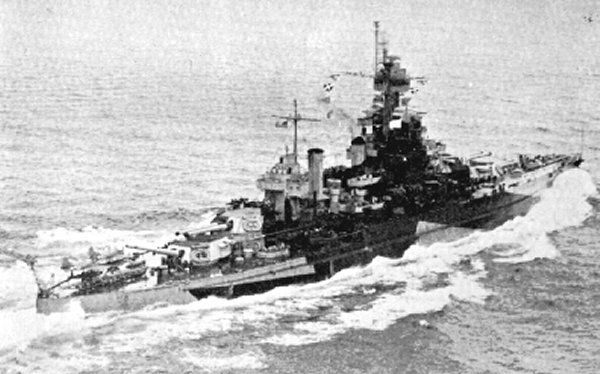 Nevada returned to the Atlantic where she took part in the Normandy landings off Utah Beach and the invasion of southern France. She returned to the Pacific and took part in the operations against Iwo Jima and Okinawa where she again provided naval gunfire support. Following the war the great ship was assigned as a target at the Bikini atoll atomic bomb tests. The tough ship survived these tests and was sunk as a target on 31July 1948. 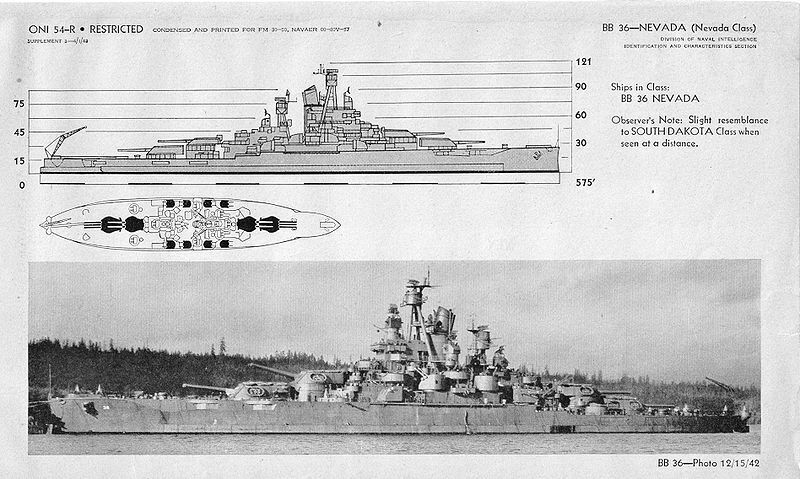 The two ships of the Pennsylvania Class were improved Oklahoma’s. 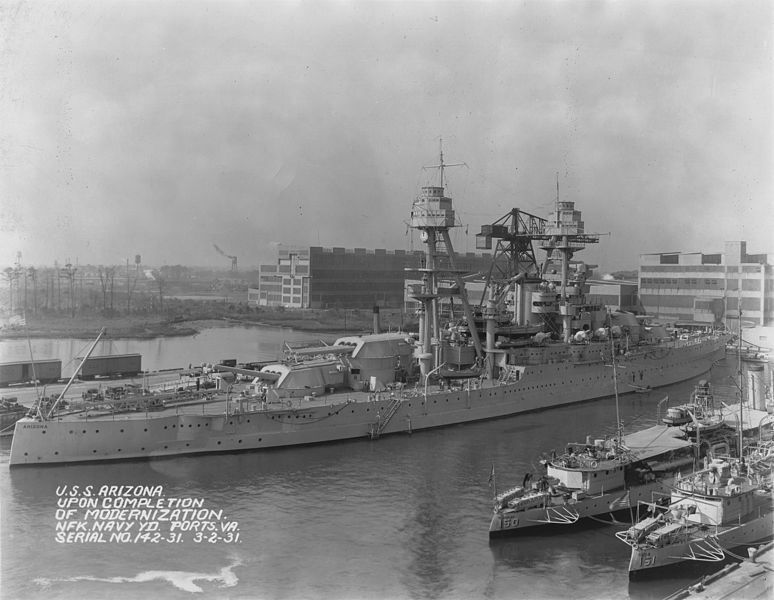 The Arizona and Pennsylvania mounted twelve 14” guns and displacing 31,400 tons and capable of 21 knots they were both commissioned in 1916. They participated in operations in the Atlantic in the First World War with the British Home Fleet. Both ships were rebuilt and modernized between 1929-1931. They were mainstays of the fleet being present at Presidential reviews, major fleet exercises and making goodwill visits around the world. Pennsylvania was the Pacific Fleet Flagship on December 7th 1941 and was in dry dock undergoing maintenance at the time of the attack. She was struck by two bombs and received minor damage. She was back in action in early 1942. She underwent minor refits and took part in many amphibious landings in the Pacific and was present at the Battle of Surigao Strait. She was heavily damaged by an aerial torpedo at Okinawa Pennsylvania and was repaired. Following the war the elderly warrior was used as a target for the atomic bomb tests. She was sunk as a gunnery target in 1948. 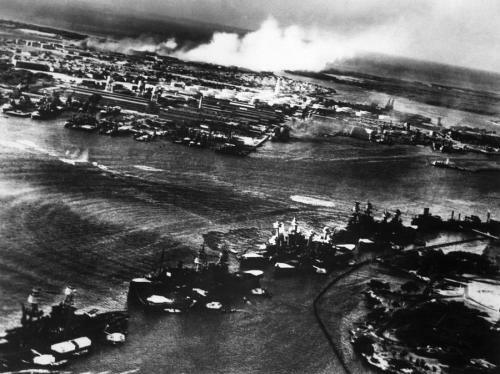 Arizona was destroyed during the attack. As the flagship of Battleship Division One she was moored next to the repair ship USS Vestal. She was hit by 8 armor piercing bombs one of which penetrated her forward black powder magazine. The ship was consumed by a cataclysmic explosion which killed 1103 of her 1400 member crew including her Captain and Rear Admiral Isaac Kidd, commander of Battleship Division One. She was never officially decommissioned and the colors are raised and lowered every day over the Memorial which sits astride her broken hull. The Tennessee class ships the Tennessee and California were the class following the New Mexico class ships which were not present at Pearl Harbor. These ships were laid down in 1917 and commissioned in 1920. Their design incorporated lessons learned at the Battle Jutland. 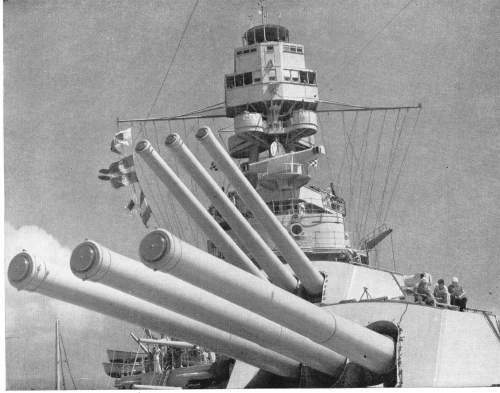 They mounted twelve 14” guns, displaced 32,300 tons and were capable of 21 knots. At Pearl Harbor Tennessee was moored inboard of West Virginia and protected from the aerial torpedoes which did so much damage to other battleships. She was damaged by two bombs. California the Flagship of Battleship Division Two was moored at the southern end of Battleship Row. 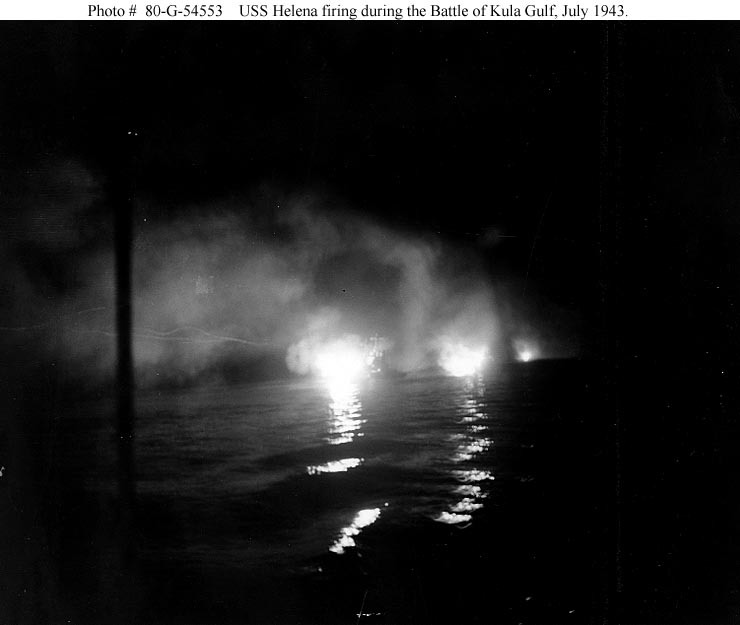 She was hit by two torpedoes in the initial attack. However, she had the bad luck to have all of her major watertight hatches unhinged in preparation for an inspection. 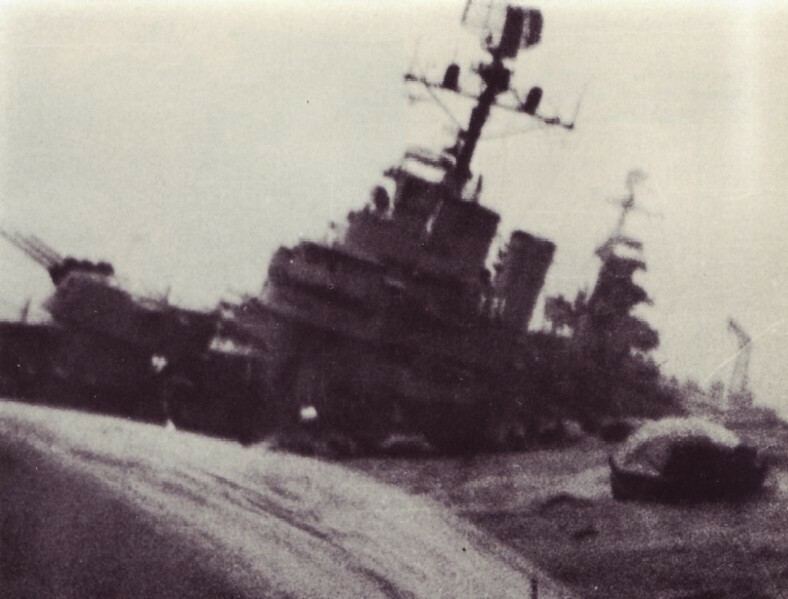 Despite the valiant efforts of her damage control teams she sank at her moorings. 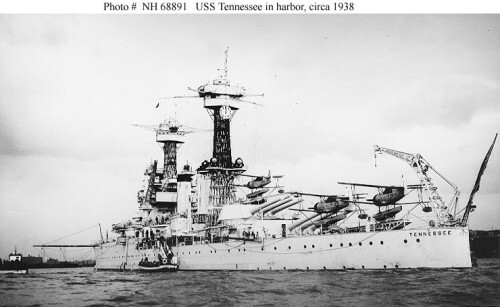 She was raised and rebuilt along with Tennessee were completely modernized with the latest in radar, fire control equipment and anti-aircraft armaments. 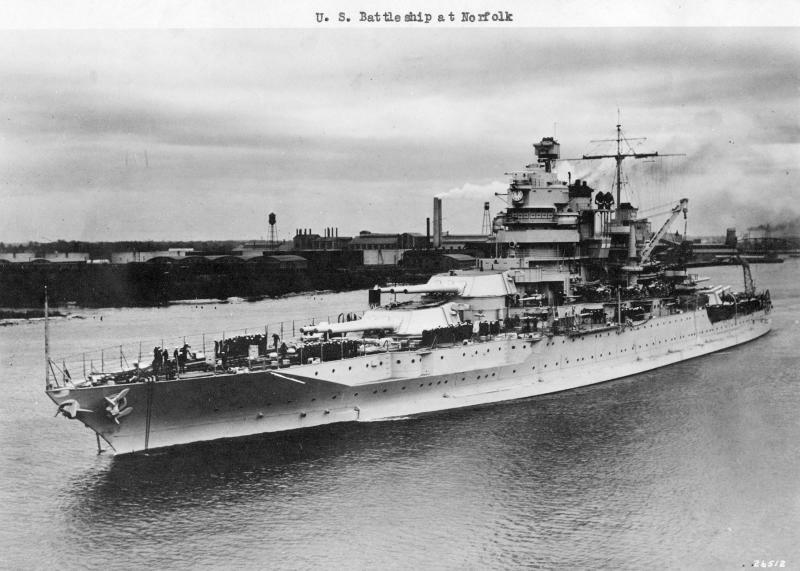 They were widened with the addition of massive anti-torpedo bulges and their superstructure was razed and rebuilt along the lines of the South Dakota class. When the repairs and modernization work was completed they looked nothing like they did on December 7th. Both ships were active in the Pacific campaign and be engaged at Surigao Strait where they inflicted heavy damage on the attacking Japanese squadron. Both survived the war and were placed in reserve until 1959 when they were stricken from the Navy list and sold for scrap. The Maryland and West Virginia were near sisters of the Tennessee class. 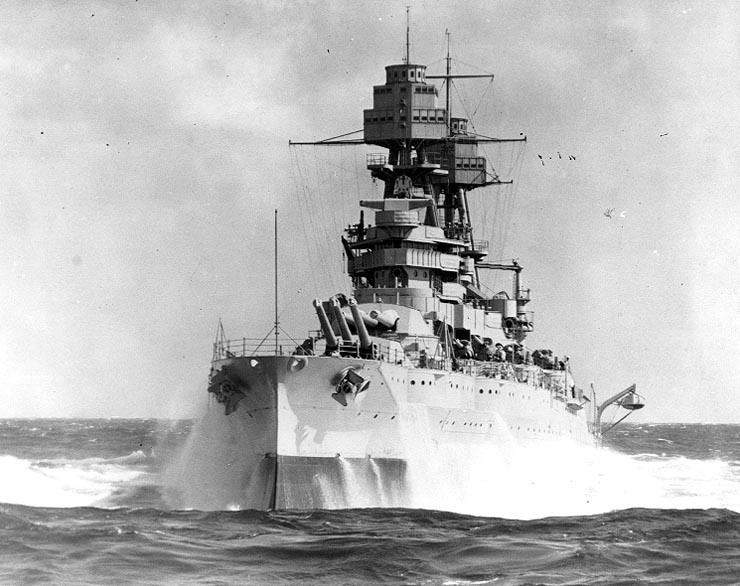 They were the last battleships built by the United States before the Washington Naval Treaty. and the first to mount 16” guns. 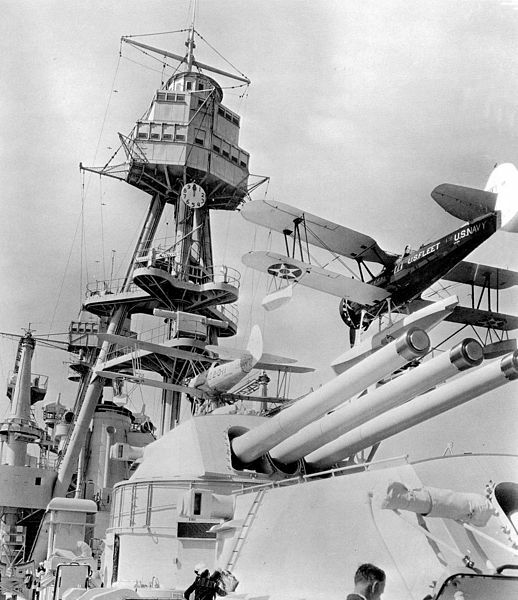 With eight 16” guns they had the largest main battery of any US battleships until the North Carolina class. They displaced 32,600 tons and could steam at 21 knots. Laid down in 1917 and commissioned in 1921 they were modernized in the late 1920s. They were the most modern of the Super-Dreadnoughts built by the United States and included advances in protection and watertight integrity learned from both the British and German experience at Jutland. West Virginia suffered some of the worst damage in the attack. 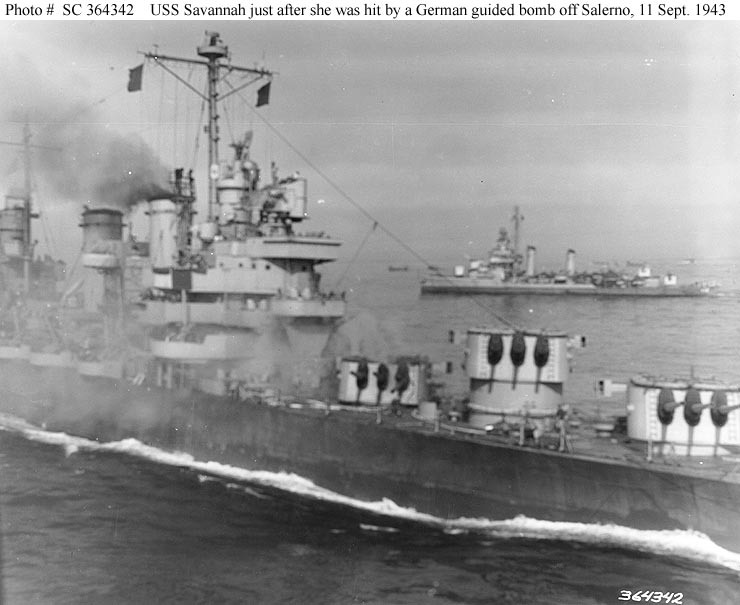 She was hit by at least 5 torpedoes and two bombs. She took a serious list and was threatening to capsize. However she was saved from Oklahoma’s fate by the quick action of her damage control officer who quickly ordered counter-flooding so she would sink on an even keel. She was raised from the mud of Pearl Harbor and after temporary repairs and sailed to the West Coast for an extensive modernization on the order of the Tennessee and California. 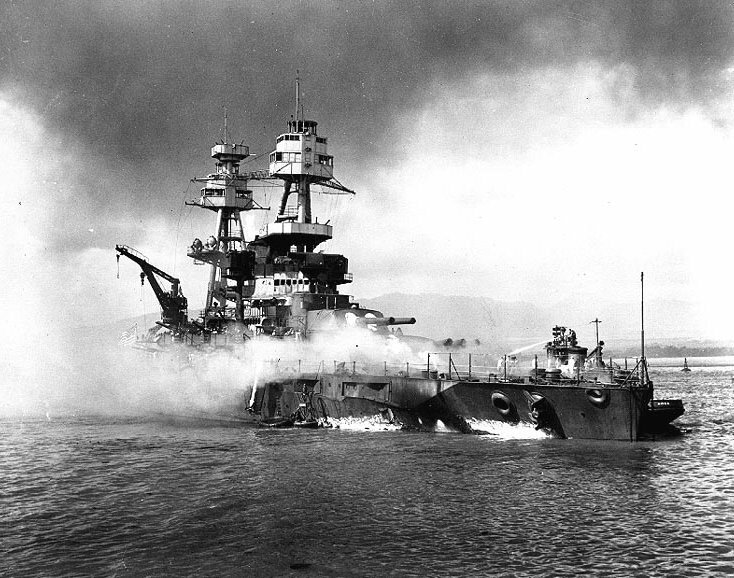 The battleships of Pearl Harbor are gone, save for the wreck of the Arizona and various relics such as masts, and ships bells located at various state capitals and Naval Stations. 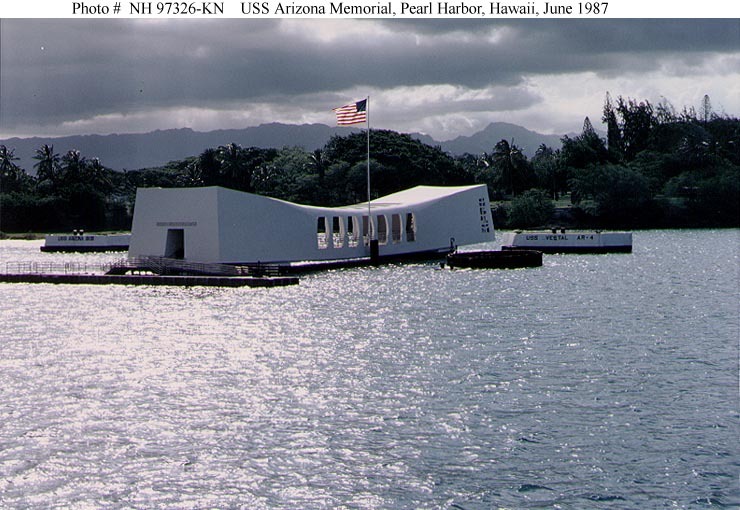 Unfortunately no one had the forethought to preserve one of the survivors to remain at Pearl Harbor with the Arizona. Likewise the sailors who manned these fine ships, who sailed in harm’s way are also passing away. Every day their ranks grow thinner, the youngest are all 89-90 years old. As this anniversary of the Pearl Harbor attack passes into history it is fitting to remember these men and the great ships that they manned. Today is the 68th anniversary of the Japanese attack on Pearl Harbor and as we were then we are at war. 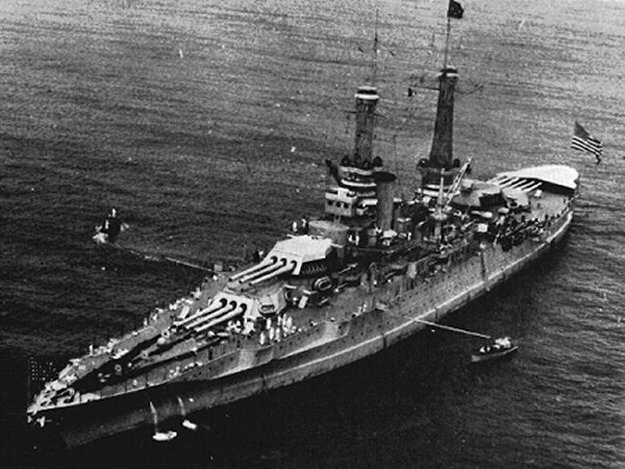 The Battleships of the Nevada and Pennsylvania classes had established American ship design as second to none in 1916. At the same time the US Navy was planning advances in engineering systems that would change naval engineering forever. The ships of the New Mexico class were improvements on the preceding Nevada and Pennsylvania class half sisters. Their hull was lengthened and beam increased. Additionally the new class was given a clipper bow to improve sea keeping capabilities. 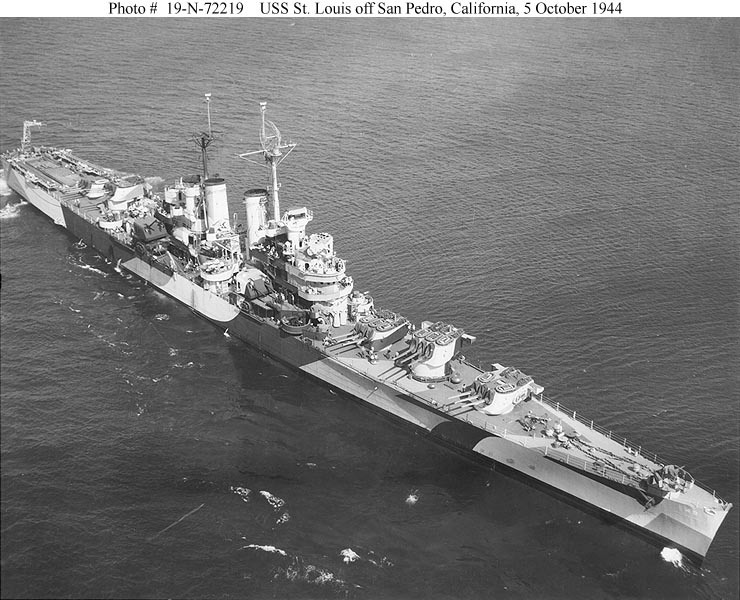 While they maintained the same main battery layout of four turrets mounting three 14” guns each, however the guns were a higher caliber 14”/50 models that would also be mounted on the California class. The New Mexico was also the test bed for a new power plant which featured General Electric geared turbines with electric drive which would be standard on succeeding classes of battleships as well as carriers, cruisers and destroyers. The Mississippi and Idaho retained the older geared turbine design. The practical effect was that the New Mexico required less horsepower to attain the same speeds as the earlier design turbines. Displacing 32,000 tons the ships were slightly larger than their predecessors. New Mexico was launched on 23 April 1917 and commissioned on May 18th 1918. Her sisters Mississippi and Idaho were actually launched and commissioned sooner being launched on January 25th 1917 and commissioned on December 18th 1917. None of the ships saw action in the First World War and in 1919 the three would become the nucleus of the newly formed Pacific Fleet. They would serve in the Pacific but conduct exercises with the Atlantic Fleet in the Pacific as well as the Atlantic and Caribbean. All three were modernized in the early 1930s receiving improvements in armor protection, anti-torpedo blisters, a modernized bridge structure to replace their cage masts, improvements to machinery and their secondary armament. They would return to the Pacific but with the outbreak of war in Europe the three ships were transferred to the Atlantic Fleet where they took part in the Neutrality Patrol. When Pearl Harbor was attacked the three sisters went back to the Pacific where they spent much of 1942 escorting convoys and being prepared to repel any Japanese assault on the US Mainland. In April 1943 they took part in the Aleutian campaign and the assaults on Attu and Kiska. They would then sail to the Central Pacific where the provided support to the invasions of the Gilberts, Marshalls and Marianas islands by protecting the transports and providing naval gunfire support to Marines ashore. The three would again operate together during the invasion of the Philippines where the Mississippi served with other battleships of the 7th Fleet’s battle line under Rear Admiral Jesse Oldenforf at the Battle of Surigo Strait where they annihilated a Japanese force including the battleships Fuso and Yamisharo. 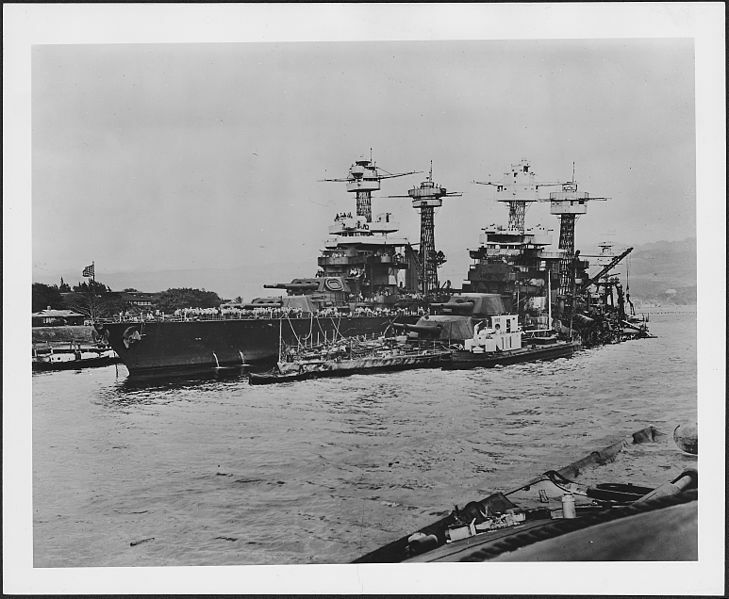 Both Mississippi and New Mexico were damaged by Kamikaze hits in Philippine waters, the New Mexico taking a hit on her bridge which killed her Captain and 27 crewmembers. Both would require repairs and both would miss the invasion of Iwo Jima which Idaho took part in. The three joined forces again at Okinawa where they provided fire support to Marines and Soldiers ashore. They would serve until the end of the war in the Pacific and take part in Operation Magic Carpet to return military personnel from the Pacific to the United States. 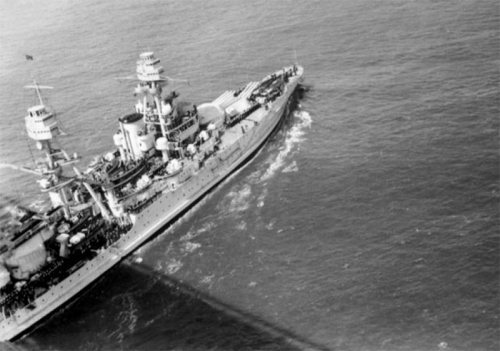 Following the war the New Mexico and Idaho were decommissioned and sold for scrap in 1948. Mississippi however was converted into a gunnery training ship and reclassified as AG-128. 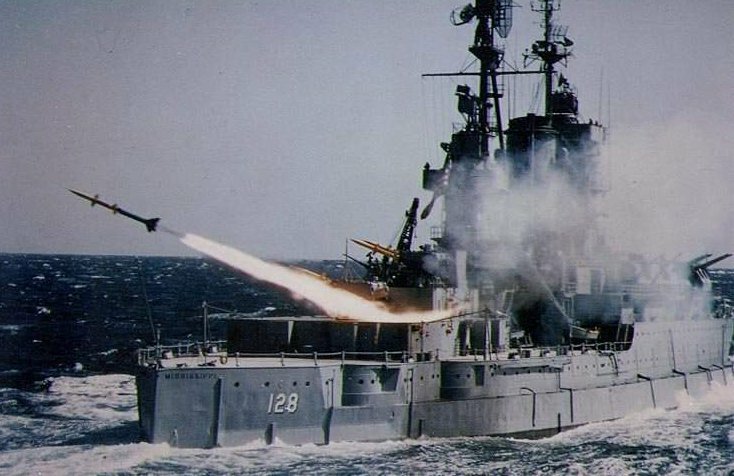 In this capacity she served as a test bed for new weapons including the Terrier guided missile systems which would be mounted on the first generation of US Navy Guided Missile Cruisers. She was decommissioned in 1956 and sold for scrap after an abortive attempt by the state of Mississippi to acquire her as a memorial ship. 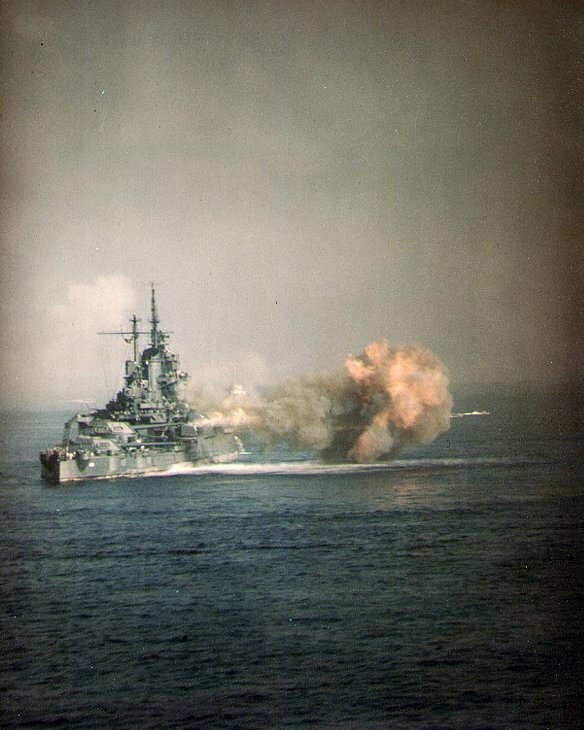 The ships provided valuable service during the Second World War and the technical innovations in propulsion and protection would become standard in subsequent classes of US Navy battleships. Additionally the post war service of the Mississippi helped propel the Navy into the missile era helping to build a foundation that is in evidence today in the Ticonderoga Class Guided Missile Cruisers and Arleigh Burke class Guided Missile Destroyers and their Aegis air defense and ballistic missile defense systems. The ships of the New Mexico class and their stalwart crews should not be forgotten. I remember reading Walter Lord’s “Day of Infamy” when I was a 7th grade student at Stockton Junior High School back in 1972. 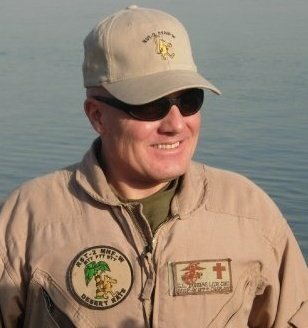 At the time my dad was on his first deployment to Vietnam on the USS Hancock CVA-19. As a Navy brat I was totally enthralled with all things Navy and there was little that could pull me out of the library. 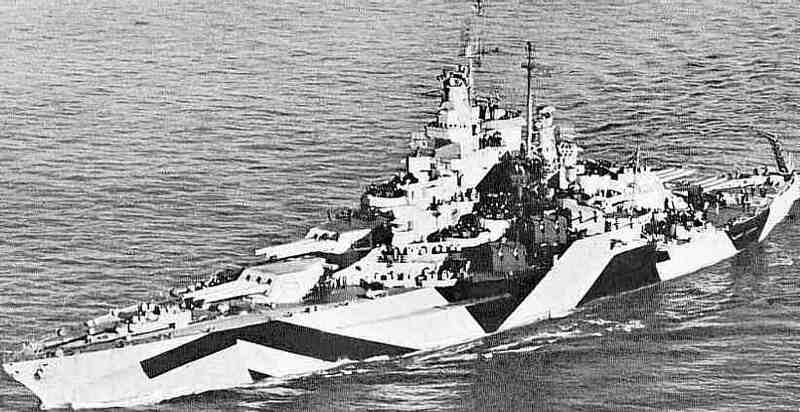 Over the years I have always found the pre-World War Two battleships to be among the most interesting ships in US Navy history. No they are not the sleek behemoths like the USS Wisconsin which I look at almost every day from Portsmouth Naval Medical Center as it lays moored across the Elizabeth River in Norfolk. No these ships were the backbone of the Navy from the First World War until Pearl Harbor. They were the US Navy answer to the great Dreadnaught race engaged in by the major Navies of the world in the years prior to, during and after World War One. 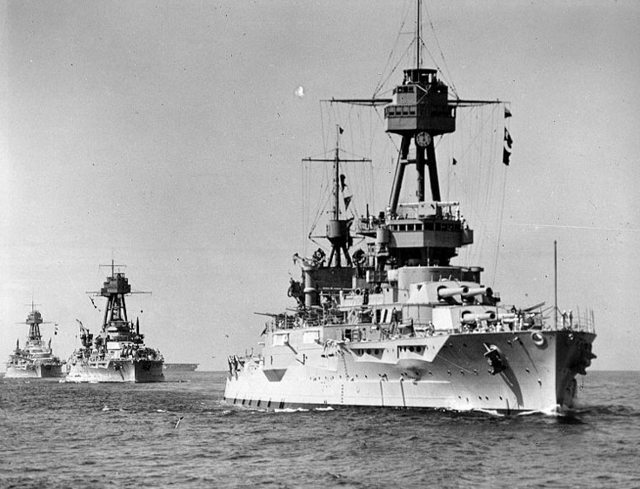 These ships were built over a period of 10 years and incorporated the advances in technology since the HMS Dreadnaught first came down the ways in 1906 to the experience gained in combat during the “Great War.” While the United States Navy did not engage in battleship to battleship combat the ships built by the US Navy were the equal of many of the British and German ships of the era. 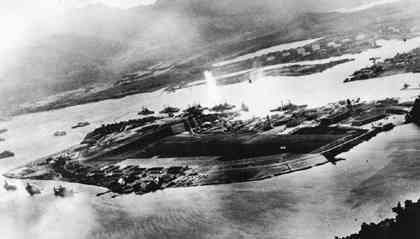 The Battle Force of the Pacific Fleet in 1941 included 9 battleships of which 8 were at Pearl Harbor on the morning of December 7th. In the event of war the US War Plans, called “Orange” called for the Pacific Fleet led by the Battle Force to cross the Pacific, fight a climactic Mahanian battle with the battleships of the Imperial Japanese Navy and after vanquishing the Japanese foe to relieve American Forces in the Philippines. However this was not to be as by the end of December 7th all eight were out of action, with two, the Arizona and Oklahoma permanently lost to the Navy. 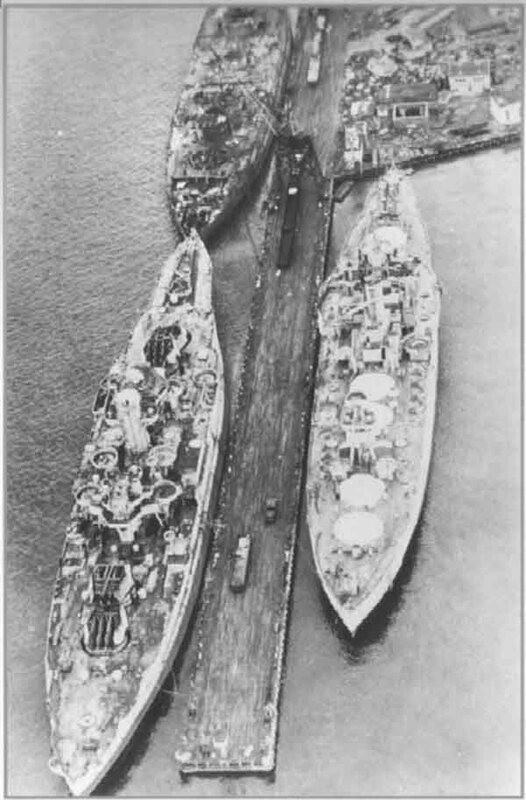 These ships comprised 4 of the 6 classes of battleships in the US inventory at the outbreak of hostilities. Each class was an improvement on the preceding class in speed, protection and firepower. 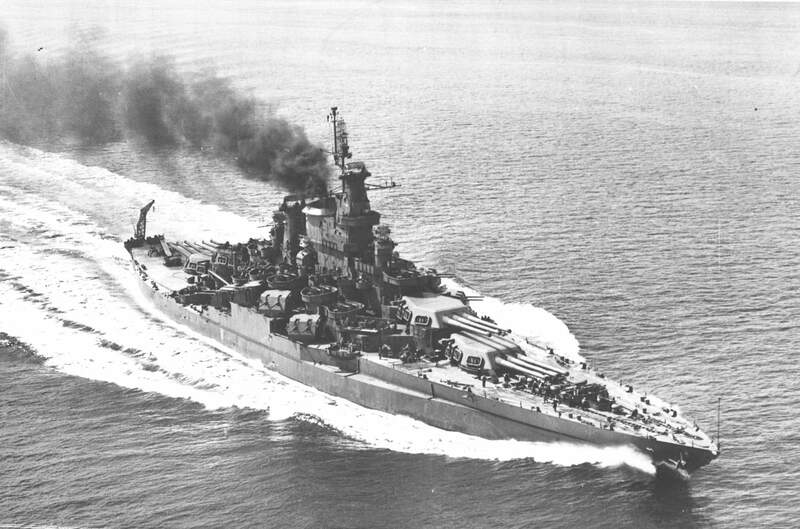 The last class of ships, the Maryland class composed of the Maryland, Colorado and West Virginia, was the pinnacle of US Battleship design until the North Carolina class was commissioned in 1941. Since the Washington Naval Treaty limited navies to specific tonnage limits as well as the displacement of new classes of ships the United States like Britain and Japan was limited to the ships in the current inventory at the time of the treaty’s ratification. 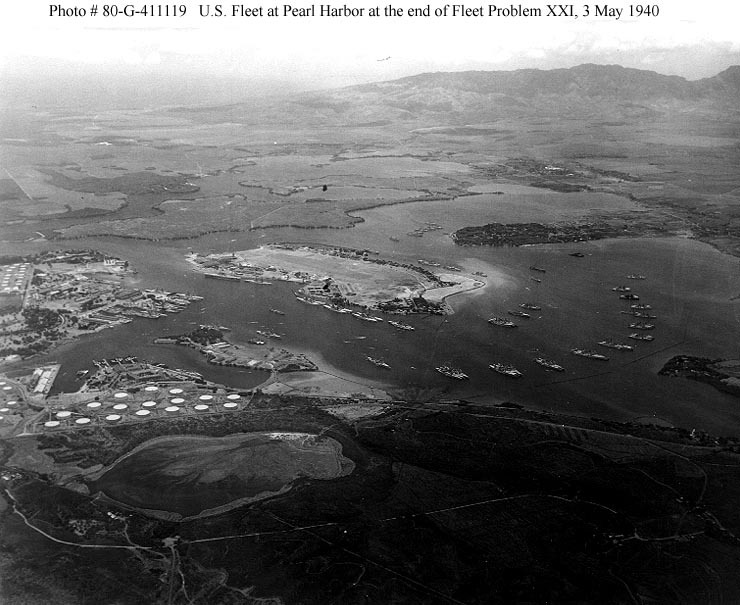 The ships at Pearl Harbor included the two ships of the Nevada Class, the Nevada and Oklahoma. 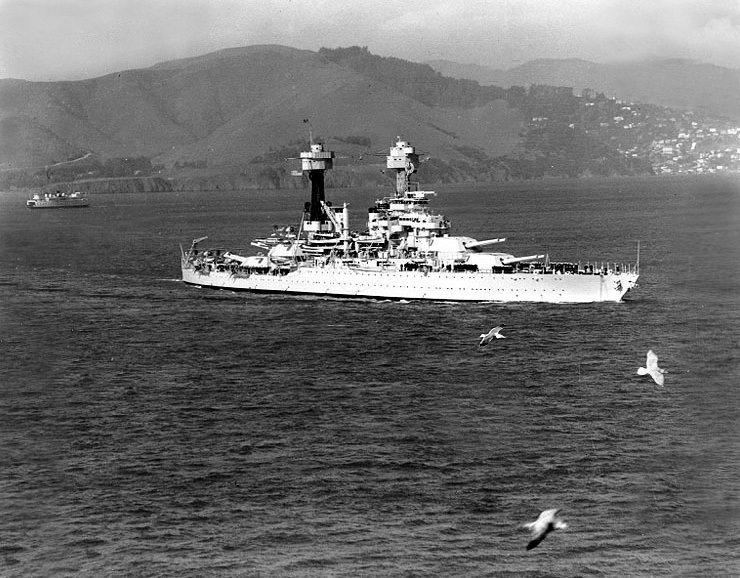 The Two ships of the Pennsylvania class, the Pennsylvania and her sister the Arizona, the two California class ships, the California and Tennessee and two of the three Maryland’s the Maryland and West Virginia. The Colorado was undergoing a yard period at Bremerton and the three ships of the New Mexico class, New Mexico, Mississippi and Idaho had been transferred to the Atlantic before Pearl Harbor to bolster US strength in that area due to the German threat. The three older ships of the New York and Wyoming Classes, the New York, Arkansas and Texas also were in the Atlantic. 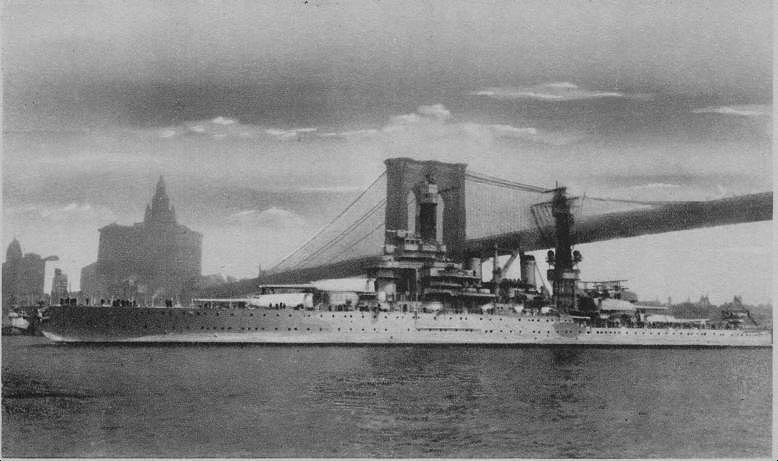 Two older battleships, the Utah and Wyoming had been stripped of their main armaments and armor belts and served as gunnery training ships for the fleet. The Utah was also at Pearl Harbor. The ships that lay at anchor at 0755 that peaceful Sunday morning on “Battleship Row” and in the dry dock represented the naval power of a bygone era which was not recognized until two hours later. 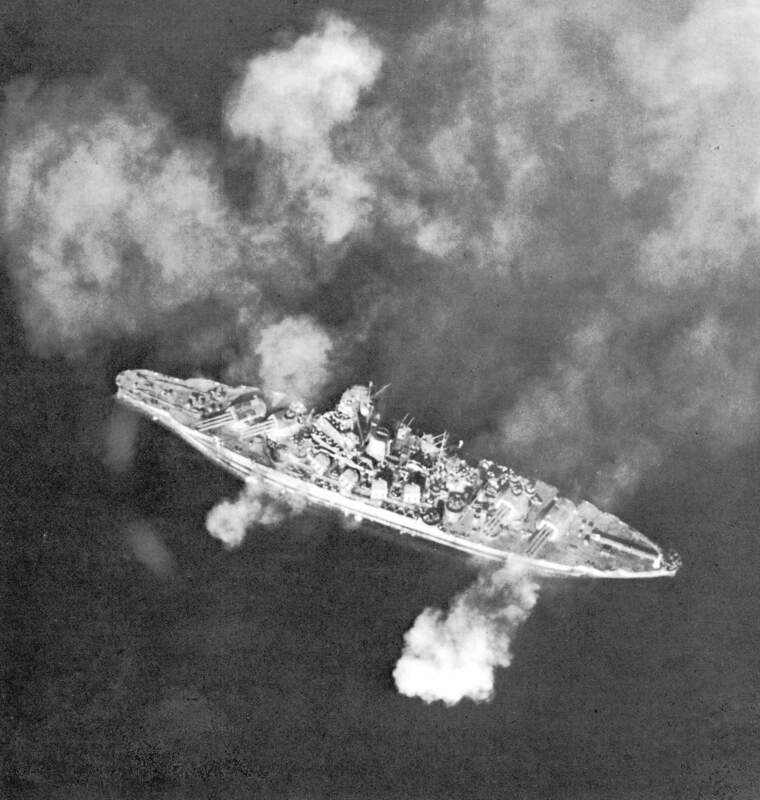 The age of the battleship had passed, but even the Japanese who launched the attack did not realize that the era had passed as they continued to build the massive super-battleships Yamato and Musashi mounting 9 18” guns and displacing 72,000 tons, near twice that of the battleships of the Pacific Fleet. The Oklahoma and Nevada were the oldest ships in the Battle Force. 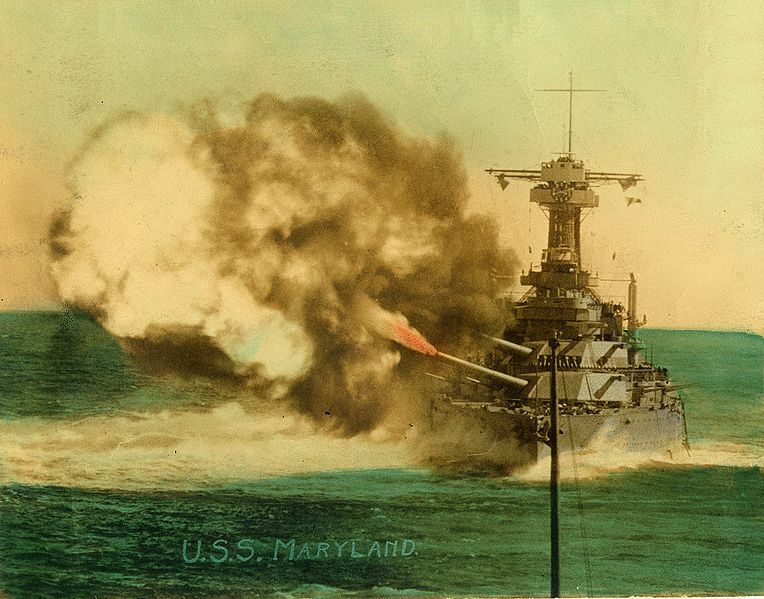 Launched in 1914 and commissioned in 1916 the Nevada and Oklahoma mounted ten 14” guns and displaced 27.500 tons and were capable of 20.5 knots. Serving in World War One alongside the British Home Fleet they were modernized in the late 1920s they were part of the US presence in both the Atlantic and Pacific in the inter-war years. Oklahoma would take part in the evacuation of American citizens from Spain in 1936 during the Spanish Civil War. 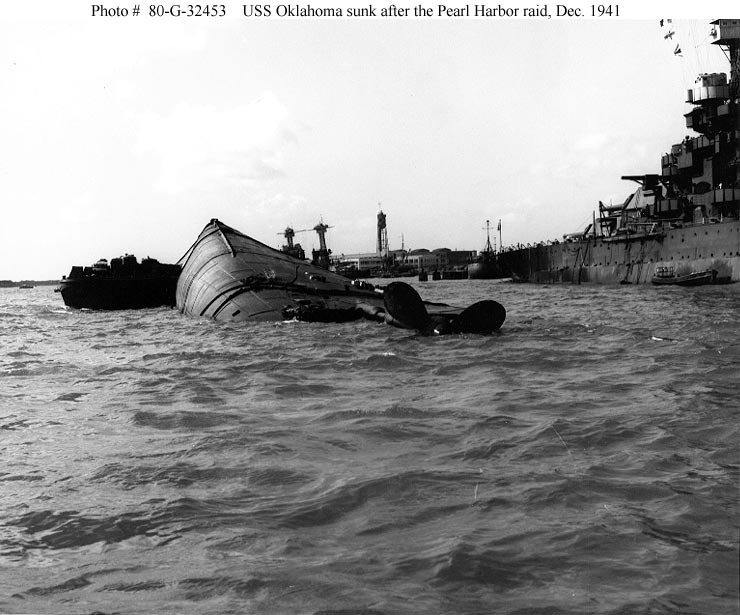 During the Pearl Harbor attack Oklahoma was struck by 5 aerial torpedoes capsized and sank at her mooring with the loss of 415 officers and crew. Recent analysis indicates that she may have been hit by at least on torpedo from a Japanese midget submarine. Her hulk would be raised but she would never again see service and sank on the way to the breakers in 1946. 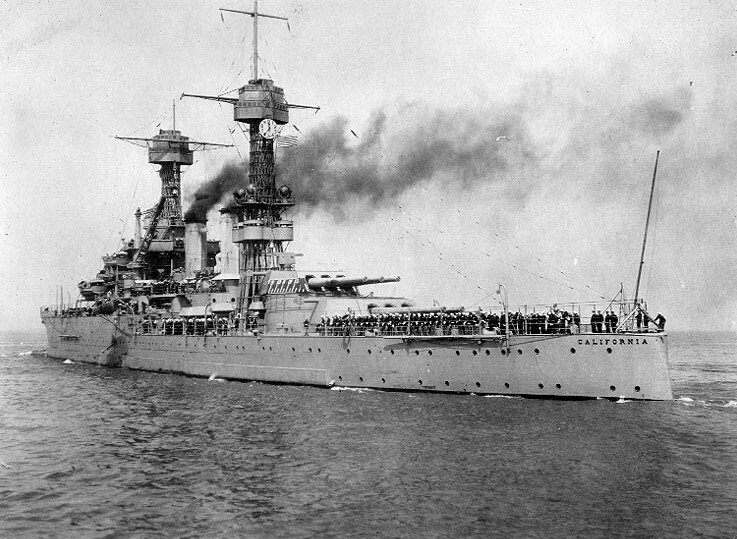 Nevada was the only Battleship to get underway during the attack. As she attempted to escape the harbor she was heavily damaged and to prevent her sinking in the main channel she was beached off Hospital Point. She would be raised and returned to service by the May 1943 assault on Attu. She would then return to the Atlantic where she would take part in the Normandy landings off Utah Beach and the invasion of southern France in July 1944. She then returned to the Pacific and took part in the operations against Iwo Jima and Okinawa where she again provided naval gunfire support. Following the war she would be assigned as a target at the Bikini atoll atomic bomb tests, surviving these she would be sunk as a target on 31 July 1948. 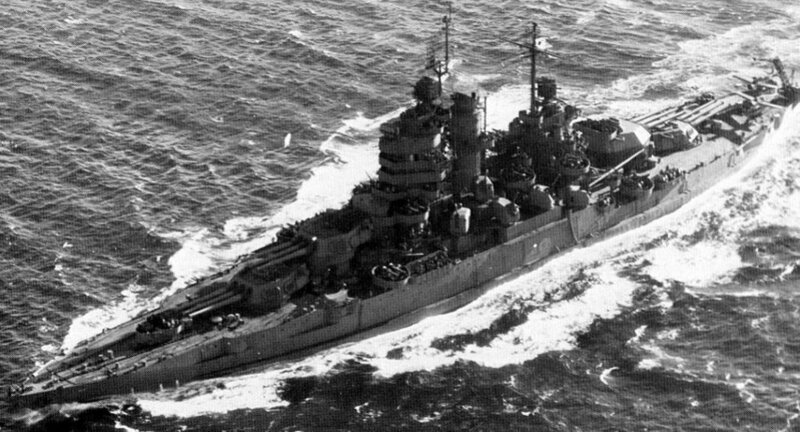 The two ships of the Pennsylvania Class were improved from the Oklahoma’s. Mounting twelve 14” guns and displacing 31,400 tons and capable of 21 knots they were commissioned in 1916 and also participated in operations in the Atlantic in the First World War. Both being rebuilt and modernized in 1929-1931 they were mainstays of the fleet being present at Presidential reviews and making goodwill visits around the world. Pennsylvania was the Pacific Fleet Flagship on December 7th 1941 and was in dry dock undergoing maintenance at the time of the attack. Struck by two bombs she received minor damage and would be in action in early 1942. She underwent minor refits and took part in many amphibious landings in the Pacific and was present at the Battle of Surigo Strait. Heavily damaged by an aerial torpedo at Okinawa Pennsylvania would be repaired and following the war used as a target for the atomic bomb tests. She was sunk as a gunnery target in 1948. Arizona was destroyed during the attack. Hit by 8 armor piercing bombs one of which penetrated her forward black powder magazine she was consumed in a cataclysmic explosion which killed 1103 of her 1400 member crew. She was never officially decommissioned and the colors are raised and lowered every day over the Memorial which sits astride her broken hull. 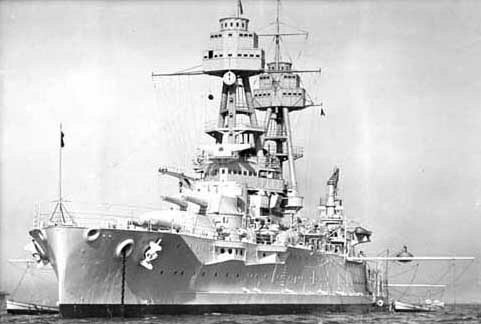 The Tennessee and California were the class following the New Mexico’s which were not present at Pearl Harbor. These ships were laid down in 1917 and commissioned in 1920. They mounted twelve 14” guns, displaced 32.300 tons and were capable of 21 knots. Tennessee was damaged by two bombs and was shield from torpedo hits by West Virginia. 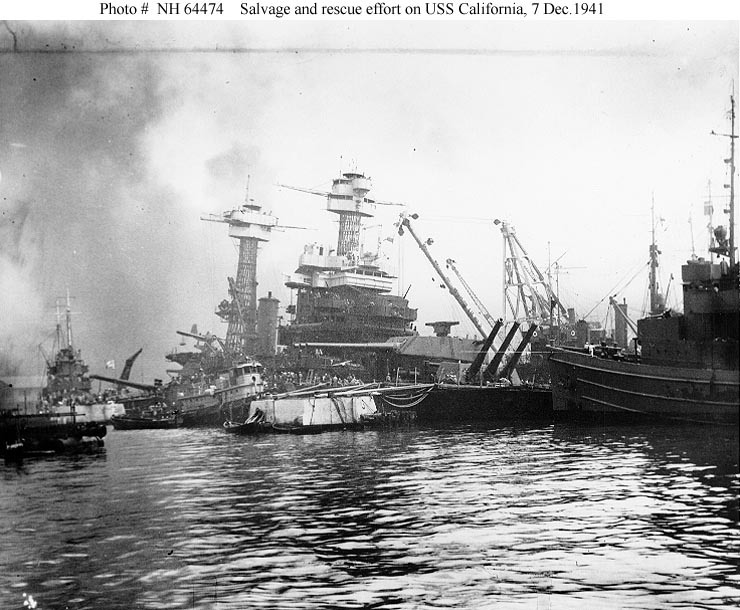 California was hit by two torpedoes but had the bad luck to have all of her major watertight hatches unhinged in preparation for an inspection. 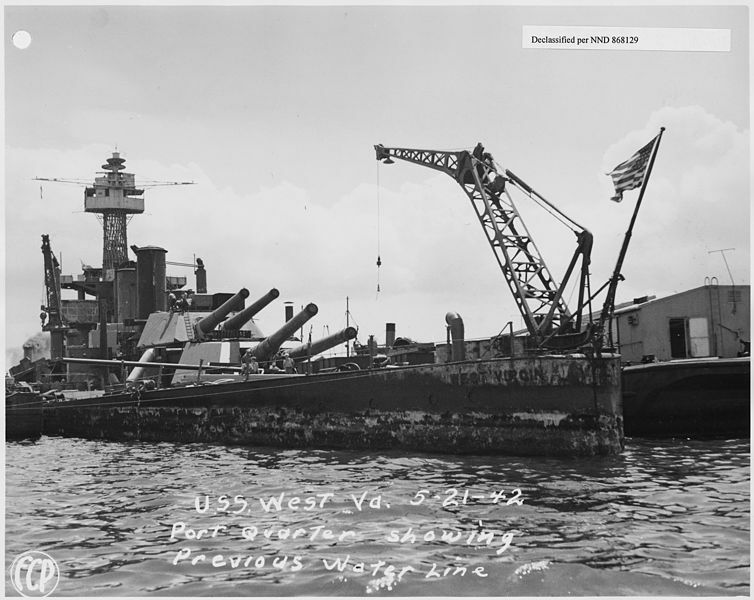 She sank at her moorings and would be refloated, rebuilt and along with Tennessee modernized with the latest in radar, fire control equipment and anti-aircraft armaments. Both ships would be active in the Pacific campaign and be engaged at Surigo Strait where they inflicted heavy damage on the attacking Japanese squadron. Both would survive the war and be placed in reserve until 1959 when they were stricken from the Navy list and sold for scrap. The Maryland and West Virginia were near sisters of the Tennessee class. 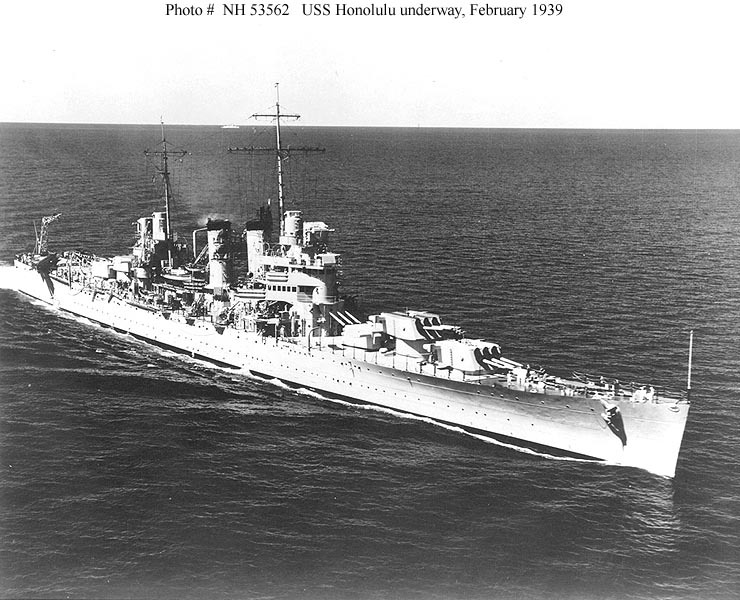 They were the last battleships built by the United States before the Washington Naval Treaty. Mounting eight 16” guns they had the largest main battery of any US ships until the North Carolina class. 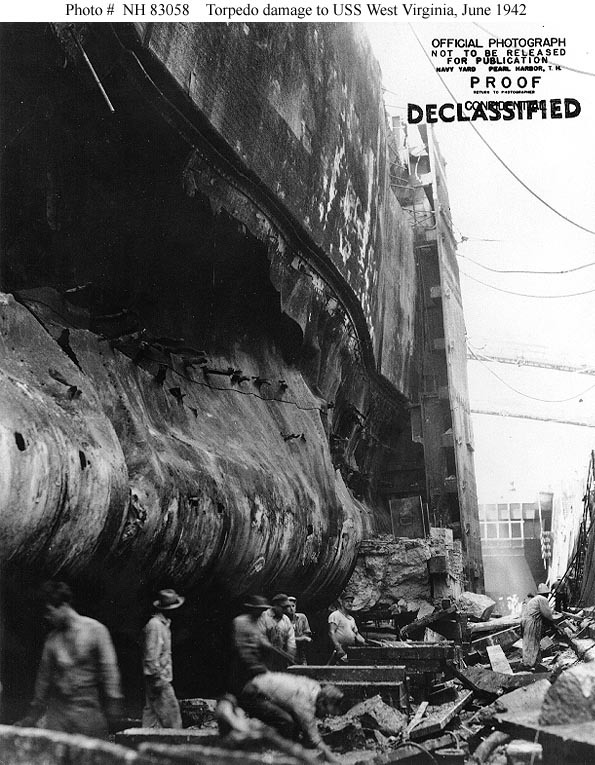 The displaced 32,600 tons and could steam at 21 knots. Laid down in 1917 and commissioned in 1921 they would be modernized in the late 1920s they were the most modern of the “Super-Dreadnoughts” and included advances in protection and watertight integrity learned from British and German experience at Jutland. 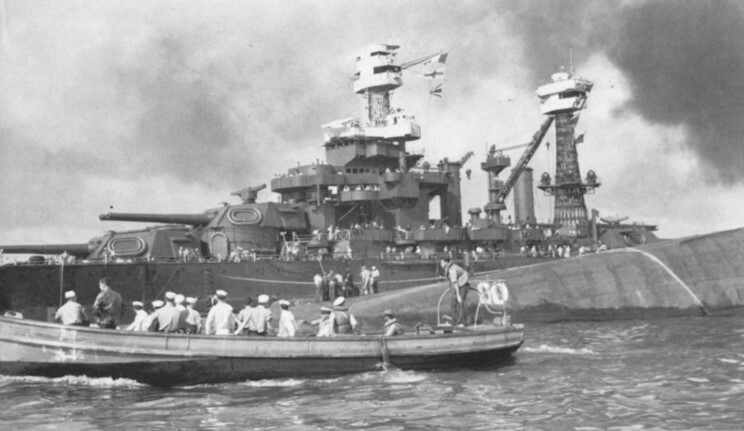 At Pearl Harbor Maryland was moored inboard of Oklahoma was hit by 2 bombs. She would be quickly repaired and returned to action. She received minimal modernization during the war. 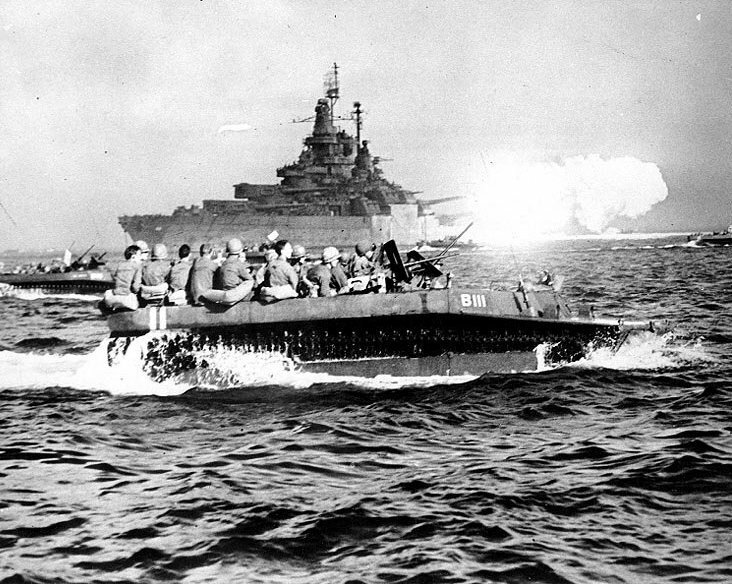 She would participate in operations throughout the entirety of the Pacific Campaign mainly conducting Naval Gunfire Support to amphibious operations. 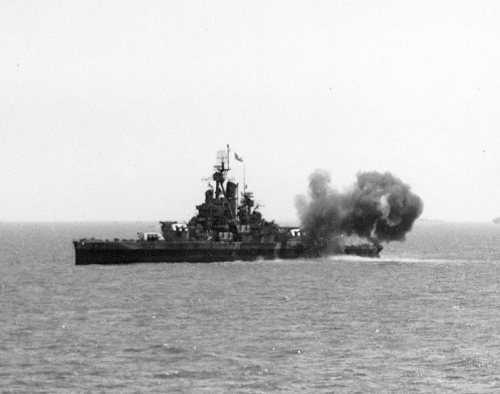 West Virginia suffered some of the worst damage in the attack. 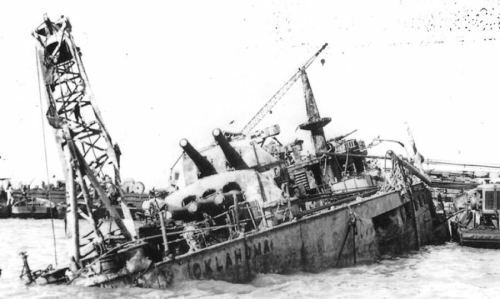 Hit by at least 5 torpedoes and two bombs she was saved from Oklahoma’s fate by the quick action of her damage control officer to counter flood so she would sink on an even keel. She would be raised, refloated and taken back to the West Coast for an extensive modernization on the order of the Tennessee and California. The last Pearl Harbor to re-enter service she made up for lost time as she lead the battle line at Surigo Strait firing 16 full salvos at the Japanese squadron helping sink the Japanese Battleship Yamashiro in the last battleship versus battleship action in history. West Virginia, Maryland and their sister Colorado would survive the war and be placed in reserve until they were stricken from the Naval List and sold for scrap in 1959. The battleships of Pearl Harbor are gone, save for the wreck of the Arizona and various relics such as masts, and ships bells located at various state capitals and Naval Stations. Unfortunately no one had the forethought to preserve one of the survivors to remain at Pearl Harbor with the Arizona. Likewise the sailors who manned these fine ships, who sailed in harm’s way are also passing away. Every day their ranks grow thinner. As December 7th passes into history it is fitting to remember these men and the great ships that they manned. If you know a Pearl Harbor survivor or a sailor who served on one of these ships take the time to thank them.